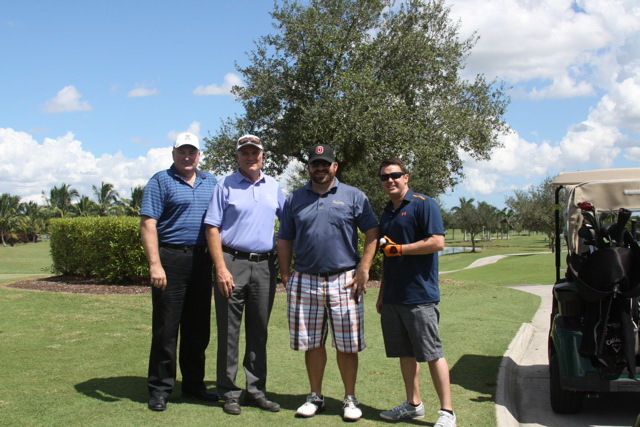 The Weather-Tech Roofing & Waterproofing team proudly supported Archbishop McCarthy High School at a recent golf tournament. Tim Fitzgerald is pictured here with David Day and Andy Pribyl, Senior Managers from CBRE, and Brett Aleshire from Debonair Mechanical. This is not the only time that Weather-Tech Roofing and Waterproofing has teamed up with CBRE. The WTRW team is already working on several major roofing projects for the company. As you can see, we value the opportunity to spend time with our clients on and off the job.